Enjoy breakfast, lunch and dinner at STREATS restaurant with our wide variety of international cuisine and local delights. Relax by the tranquil waters free of our form swimming pool with a signature cocktail or a classic drink from the pool bar. Pair your beverages with a variety of international dishes or light bites. Hotel is very clean but the food is not so good. Hope can provide better meal. I found the hotel very clean, well maintained and with excellent facilities. I like stylish Ibis styles. Pool was great. However, room was ordered non-smoking, but people were surely smoking inside. I have to wait 20 minutes when I’m check in at the reception.. There were only one person who handle customers for check in. 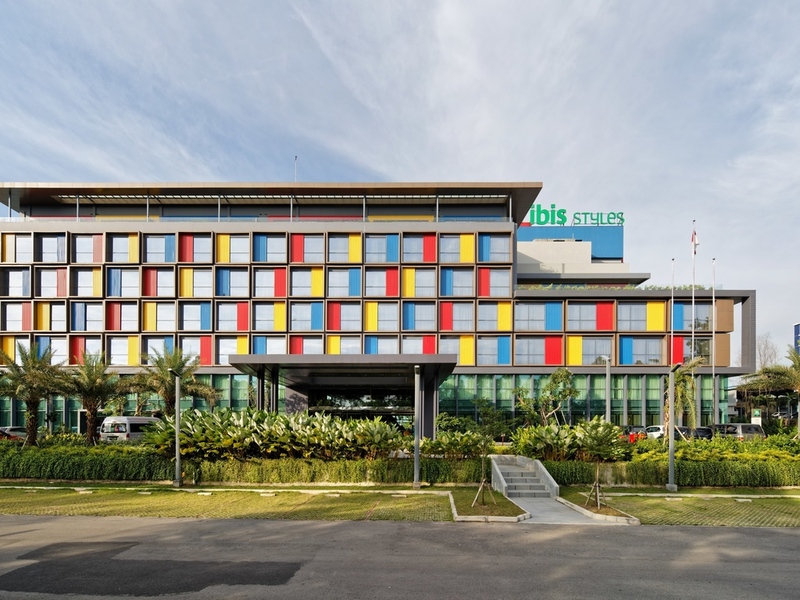 Even Ibis Styles Batam don’t have special line for Accor member on the other desk. Good service at reception and cafe. Nice, large comfortable room. Good amenities. But housekeeping can be improved especially in toilet and bathroom. I was staying for one day on purpose of business trip, and I am glad I am choosing Ibis Style Nagoya Batam. The room is nice and clean, the breakfast is good, and also the employees. We booked 3 rooms and 2 was great. But room 707, the bedsheet has stains on it. And the study table had ants crawling maybe you guys can do a check on the wood and wall. They were crawling up and down the walls and around the table. All was great except for the toilet water sprinkle is spoilt..
Could have been better in terms of changing the bath towels daily and doing up the beds during our 3 days stay. There was missing towel. The floor mat was wet and rubbish not cleared from previous stayer. Complimentary water bottle only 1. Our toilet was not even clean when you lift up the seat cover. Very disappointed this time for me and the rooms booked for my other family members at level 6. We’ve booked 2 rooms for our friends and us. Found stains on most parts of the linen - bedsheet, blanket, pillows and bolsters. We requested for a change of bedsheet and they did without any questioning, but the new sheets were equally dirty. Service staff were helpful and nice. Breakfast was great.